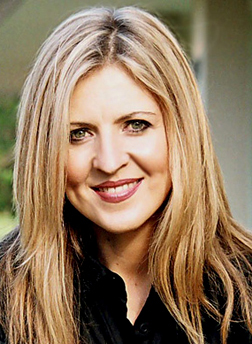 Over recent years Darlene Zschech has gained recognition across the world as a worship leader (Hillsongs Church, Sydney, Australia), a singer and songwriter. Born on September 8, 1965 in Australia, Darlene has made music an integral part of her life since she was a child. From the age of ten she performed in a weekly children's television show, singing, dancing and hosting segments. As a teenager Darlene continued in music, fronting various local gospel bands in Brisbane, Queensland . She then started on the session scene in Sydney, working on jingles for McDonalds, Special K, KFC and Diet Coke. Music was always going to characterize Darlene’s life but it was her decision to serve Jesus Christ at the age of 15 that has determined her path and destiny. Darlene and her husband Mark have been a vital part of the leadership team at Hillsong Church, Sydney which is possibly Australia 's largest church, with a current congregation of over 15,000. Hillsong Church values contemporary praise and worship and has a reputation for excellence with its choirs and musicians. As Worship Pastor, Darlene oversees the Worship & Creative Arts Department at Hillsong Church at the Hills and City congregations. Mark is the Media Manager of Hillsong Church and Director of the Television Ministry, and Darlene leads worship most weeks for the Hillsong Television program which reaches over 125 different countries across the globe. As a songwriter, Darlene is perhaps most famous for the chorus Shout to the Lord, a song that is sung by an estimated 25 to 30 million churchgoers every week and has been covered by at least 20 other artists. In addition to Shout to the Lord, Darlene has written over 70 songs that have been published by Hillsong Music Australia alone. She has also written three books on her passion, which include Extravagant Worship and her latest release, The Kiss of Heaven. In 2005, Darlene released her new solo album Change Your World which features a new arrangement of Michael W. Smith’s worship song Agnus Dei, as well as a “soon to be classic hymn”, Call Upon His Name. Together with her husband Mark, Darlene is the Associate Director of Hillsong Conference, which is the annual music and leadership conference of the church. In 2007, over 28,000 full-time delegates attended the conference at Sydney’s SuperDome at Olympic Park, making the biggest annual conference held in the nation of Australia. Darlene is committed to raising and equipping people by teaching them the principles she herself lives by, and she speaks frequently at worship seminars and conferences around the world. Darlene has a heart for helping hurting people and she has recognized that her public platform gives her the opportunity to make a significant difference in the lives of others. She is an Ambassador for the work of Compassion International, and has visited her sponsored children in various developing nations of the world. Darlene and Mark reside in Sydney with their three daughters, Amy, Chloe, and Zoe.